The Philippines is one of the countries in Asia that has been colonized several times in the past. 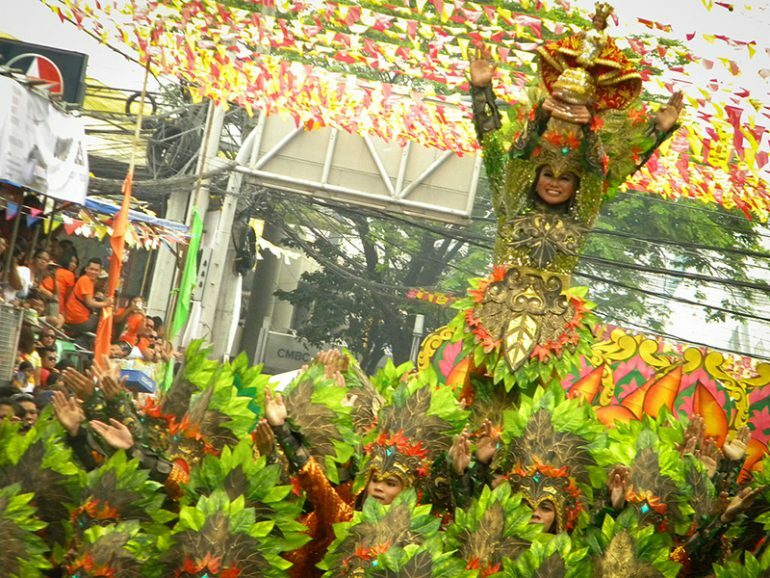 The various waves of colonization in the past has more or less contributed to the Philippines’ colorful culture. However, this generation’s entry into the Internet age has blurred the millennials’ idea of their country’s culture. That is why Alvaro Malig Jimenez of Pampanga, a Philippine province, strives to preserve 19th century Philippine culture through artwork. Jimenez is known in his province for two things: his Letras y Figuras, and his banana stalk paintings. The 68-year-old painter is a graduate of Bachelor of Science in Industrial Engineering, and specializes in painting Philippine scenery in watercolor. With his skill, Jimenez produces works of art that depict—and aim to preserve—the culture of 19th century Philippines. The Letras y Figuras is a rare art form that involves spelling out words. Each letter is formed by different human and animal figures, and various colorful objects. Jimenez, who has been creating Letras y Figuras since 1988, is one of the few local artists who practice the art form. Jimenez is known for producing very colorful Letras y Figuras artworks. He paints each letter with figures that all contribute to a deeper cultural meaning of the word that is being spelled out. “Yung style kasi, speaks for itself. Identity nung tao, identity ng mukha, identity ng anatomy niya (The style speaks for itself. It speaks for the identity of the person, the identity of his face, and the identity of his anatomy),” Jimenez said in an interview with CNN Philippines. Some of the words that are spelled out in Jimenez’s Letras y Figuras include Filipino words lilke mabuhay (long live), Pasko (Christmas), and even names. Corazon Aquino, a former Philippine president, owns one of Jimenez’s Letras y Figuras artwork. Pampanga takes pride in Jimenez’s unique use of the banana stalk. He uses banana stalks as an alternative to a canvas, and the overall result of his painting gives off a more native and authentic Filipino art style. For this art medium, Jimenez dries the banana stalk and treats them with silica gel. On his banana stalk canvas, he uses acrylic paint to depict the culture of his home-province Pampanga. Some of his most notable banana stalk paintings include the women of Pampanga, and an image of a mother and her child. Jimenez also combines his Letras y Figuras and his banana stalk canvas art forms as well. Recently, he painted a Letras y Figuras artwork on a banana stalk canvas for Pope Francis during the Papal visit in the Philippines. The piece read “AMDG”, which is an acronym for the Jesuit motto “ad majorem dei gloriam”, which translates to “to the glory of God”. 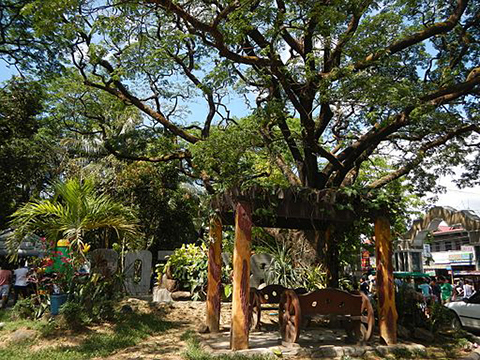 Jimenez is one of the few visual artists in the Philippines who seeks to preserve the culture of not only his province, but of the entire country as well. “Hangad kong mapanatiling buhay ang kulutrang Pilipino gamit ang sining (My aim is to preserve the Philippine culture through art),” Jimenez told CNN Philippines. His colorful art works depict the festivity and the various hues of Philippine culture as a whole.